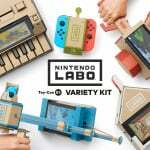 We've already seen the winners of the Japanese and North American Nintendo Labo contests, all of which blew us away with their incredible levels of skill and creativity and - unsurprisingly - it turns out that the European bunch of champions are just as wildly talented. Jose Julio from Spain has built an incredible arcade cabinet-style game featuring aliens. The project uses the right Joy-Con's IR camera to great effect, with the reflective tape being used as targets. Again from Spain, this time being created by Jordi Lamarca de Sanz, this one possibly just edges it as our favourite thanks to the addition of that super-haunting Luigi's Mansion music playing in the background of the video. Of course, the creation itself is absolutely marvellous, too, and we love the glow in the dark parts. "I wanted to maintain a marked Nintendo Labo spirit and I developed the Mansion with cardboard folds and tabs, based on trial and error, using a pencil, a, ruler a cutter and no glue. I tried to use the least number of materials. The idea was to give the house more volume and have a space to keep two of the mechanisms of the game, as I wanted to be able to use them in a more physical way once the mansion was over. My three year-old daughter and I love playing Luigi´s Mansion." 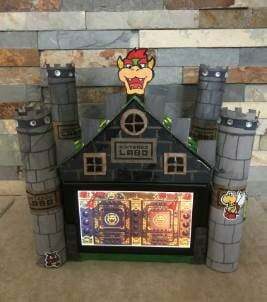 Have you tried building anything as creative as this with your own Nintendo Labo kits? Let us know how you've been getting on with the games in the comments below. The Luigi’s Mansion one has me super impressed with attention to detail. The flaps that keep the buttons in the House are colored like shattered glass! These are pretty neat, and much more creative than I could think to be. I'm a function over form person, so I wouldn't have thought of this, haha. Kudos to the winners and entrants! What is this? 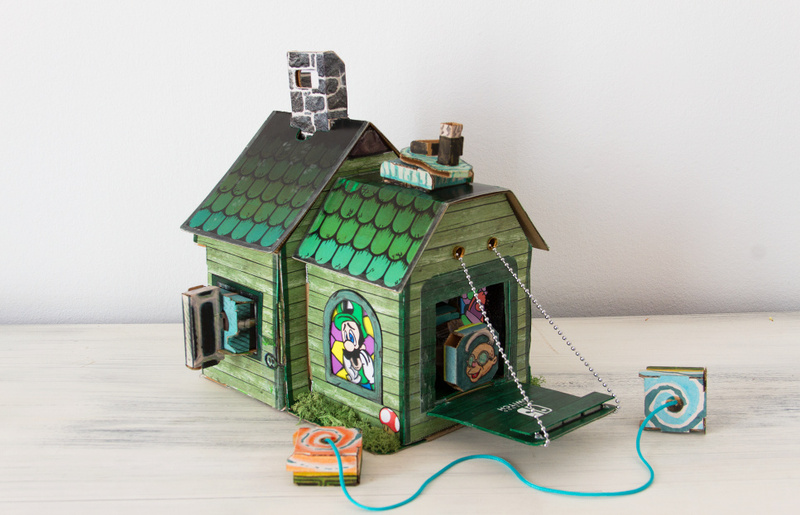 A Luigi's Mansion for ants???? Ha ha, I wish I had these people's creativity & skills! That alien ball game needs some gameplay refinement, i seems. I suppose they thought the balls would bounce, but they just fall in less than a second. Maybe some small balloons or something similar could be used? No, we have NOT seen the winners of the North American contest! Those were the winners from the old 1st contest, the current NA 2nd contest winners (which corresponds to these recently posted European and Japanese winners, all of them having the custom Switch as grand prize) have not been posted yet (although they have been notified by email). What does the luigis house do? I was the UK finalists, can’t believe how close I was to getting that cardboard switch. But, alas, was not to be. Nice, but it doesn't compare to the awesome Japanese Luigi vr!